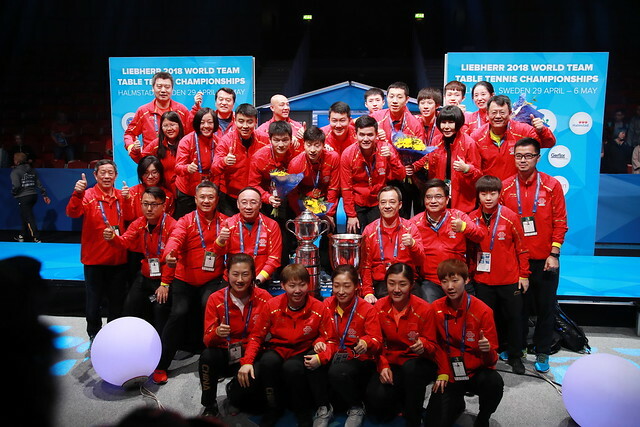 Korea's Lee Sangsu sensationally stormed into the Men's Singles semi-finals of the Liebherr 2017 World Championships. Lee Sangsu (KOR) has secured the first spot in the Men’s Singles semifinals with a 4-1 (11-7, 10-12, 11-8, 11-7, 11-5) win over Hong Kong’s Wong Chun Ting. Lee Sangsu, ranked no.20 in the world, was clearly dominant from the beginning, he kept pinning the balls to Wong Chun Ting’s backhand. The Korean took advantage of Wong Chun Ting’s comparatively weaker backhand, who uses the pen hold grip. This is Lee Sangsu’s second big win in two days, yesterday he knocked out World no.13 Vladimir Samsonov in the quarter finals and today he beat Wong Chun Ting, ranked no.7 in the world to make it the semi-finals of the World Championships. The last time a Korean was in the semi-finals was in 2007 when Ryu Seungmin won the bronze medal in 2007 World Championships in Zagreb. Lee Sangsu will now compete against the winner of Fan Zhendong and Koki Niwa, which is scheduled to be played at 19:00 on 4th June 2017. Semi-finals will be played on 5th June 2017. Victorious Lee Sangsu, enters the Men’s Singles Semi finals #ITTFWorlds2017 ? ?